The Port of Dundee in 2016 hailed the prospect of up to 1,500 new jobs for the city in oil and gas decommissioning. However, the think-tank Options for Scotland, which is chaired by SNP MSP Alex Neil, has predicted the true employment figure for onshore work across the whole country could be just 200. Speaking at the launch of the paper, Mr Neil urged governments on the both sides of the border to “get real” as he backed a call to abandon decommissioning and leave the huge structures in the North Sea permanently. Mr Neil said: “The public purse would save about £15bn on decommissioning costs that are currently planned through tax liabilities and expenditure by the UK Government. “That £15bn in times when money is really tight could be used to re-invest in renewable energy, or indeed for anything else for that matter. He insisted there would be “far more jobs” for Dundee in renewables projects. Mr Neil added: “The point is there isn’t the prospect of an onshore, permanent jobs bonanza, and that’s what we’ve been led to believe up until now. The report’s author Tom Baxter, a senior lecturer in chemical engineering at Aberdeen University, said: “You take something to bits and once it’s finished there are no jobs, there is no legacy. Mr Baxter said the onshore value of the new industry would be worth about £81m over three years, rather than the £40bn often cited as up for grabs at Scottish ports. 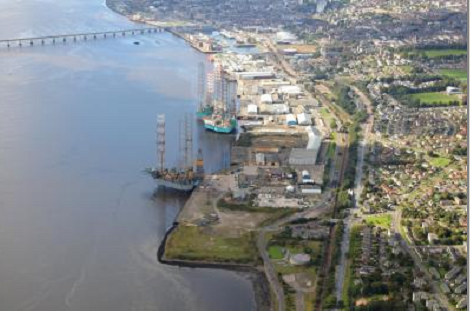 John Alexander, the leader of Dundee City Council, said decommissioning businesses, including AF Deecom, Augean North Sea Services and Well-Safe, had invested in Dundee for good reasons. “These private companies do not take such commercial decisions lightly or without a belief that there is a commercial return,” he said. “Decommissioning, by its very nature, takes a significant degree of planning which translates into years of work. A spokesman for the UK Department for Business, Energy and Industrial Strategy said: “Offshore oil and gas operators must decommission installations and pipelines at the end of a field’s economic life.